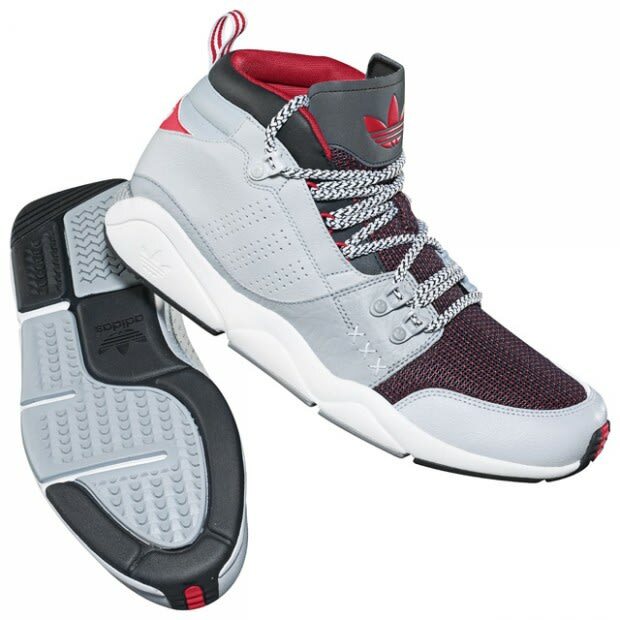 Kicks of the Day: adidas Originals Fortitude Mid "Light Grey/Scarlet"
Awarding you with the option of switching things up during the summer months (and well, anytime), adidas Originals lets loose a lighter-schemed go of its sneaker/boot make-up the Fortitude Mid. Light Grey leather comprises the majority of the shoes&apos; upper while Scarlet acts as the vibrant accent as hits of mesh can be seen extending from the toe upwards toward the tongue. Boot-type laces round out the fused go as these should add some diversity to your collection. Cop yours through Shop adidas for $80.